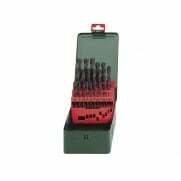 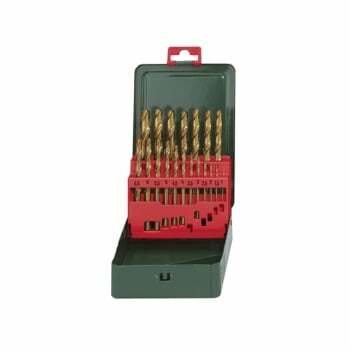 The Metabo HSS-Tin Drill Bit Set is suitable for drilling steel and cast steel, alloyed and unalloyed, grey cast iron, non-ferrous metals and plastic up to 900 N/mm² tensile strength. 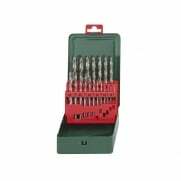 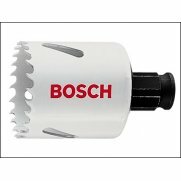 The bits are coated with a titanium nitrate alloy with a ground, cylindrical, type N, 135° crosswise grinding tip and gold coloured surface finish. 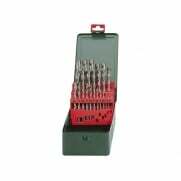 They are NOT suitable for aluminium.